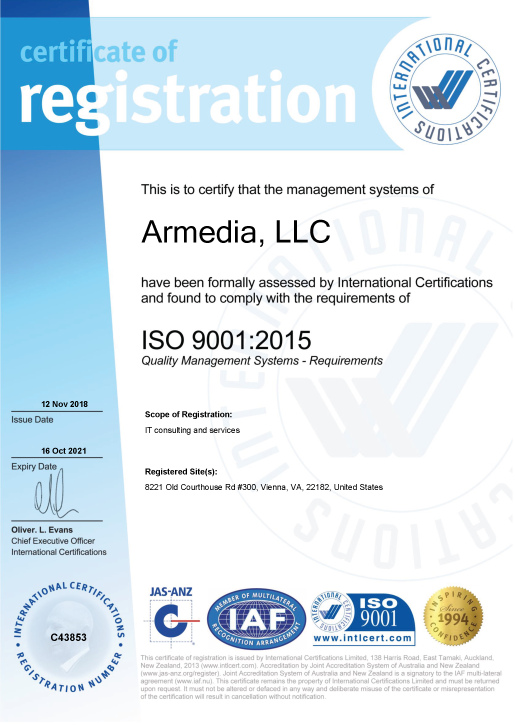 Armedia, LLC, an industry leader in enabling businesses and service providers to transform their operations and deliver Information Technology as a service, today announced that the company has earned ISO 9001:2015 certification for Quality Management System (QMS). ISO 9001:2015 is a globally recognized quality management standard developed and published by the International Organization for Standardization (ISO) and it’s the only standard in the family that can be certified to (but this is not a requirement). This standard provides a model that organizations of all types and sizes can use for building an effective quality management system. ISO 9001:2015 is built on various quality management principles including a strong focus on customers, an involvement of high-level organization management, a process approach, and an ongoing improvement of the process. 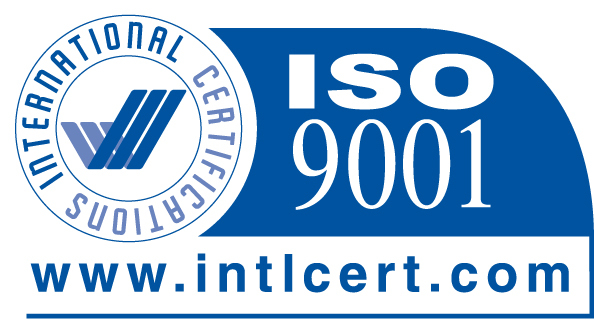 Using ISO 9001:2015 helps ensure that customers get consistent, high-quality products and services, which in turn brings many business benefits. Combining unparalleled experience, comprehensive capabilities across all industries and business functions, and extensive research on the world’s most successful companies, Armedia collaborates with clients to help them become high-performance businesses and governments. Armedia works with organizations across multiple vertical industries, in the public and private sectors, ranging in size from startups to the Fortune Global 500. Our customers include public-sector agencies, banks, and other financial services firms, manufacturers, healthcare and life sciences organizations, airlines and transportation companies, and educational institutions. Deep domain expertise with a variety of technology platforms, strong partnerships with the world’s leading vendors, dedicated industry expertise and a broad solutions portfolio differentiates our firm. We use small, expert project teams that deliver high-value, measurable results by working collaboratively with clients through a user-centered, technology-based and business-driven solution methodology. We believe this approach enhances return-on-investment for our clients by significantly reducing the time and risk associated with designing and implementing business and technology solutions.